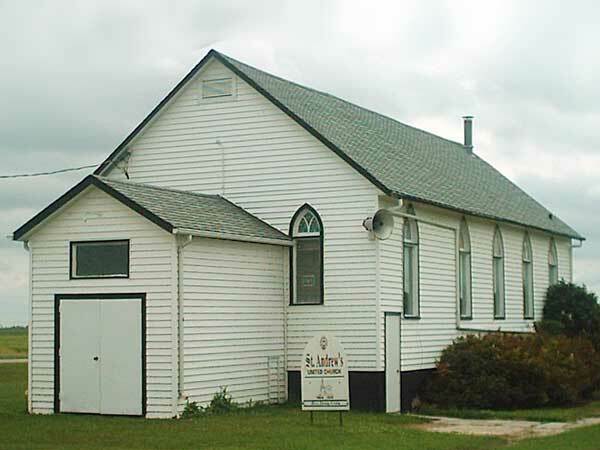 In 1900, local Methodists erected a red-brick church at this site in Mather, in what is now the Municipality of Cartwright-Roblin. 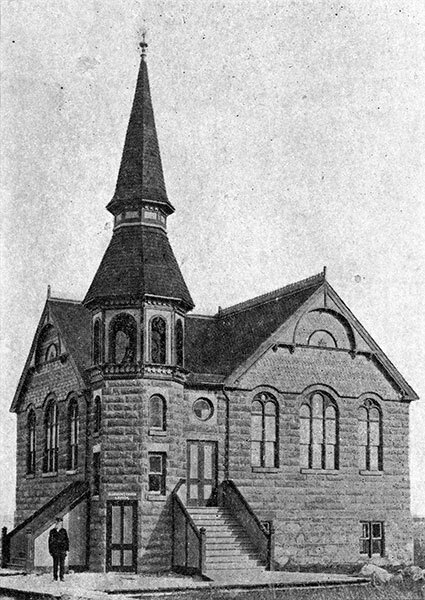 In the summer of 1920, the congregations of the Methodist and Presbyterian churches united and the combined group occupied the larger Presbyterian Church across the street, built in 1905. With formal, Canada-wide unification in the 1920s, it became known as Mather United Church. In unsafe condition, the building was torn down in early 1971. A church building from a site south of Killarney was bought and moved here later that year. With dwindling attendance, the church closed in the spring of 2012. Crocus Country: A History of Mather & Surrounding Districts by Mather History Committee, 1981. We thank Vicki Wallace and Scott Melvin for providing additional information used here.